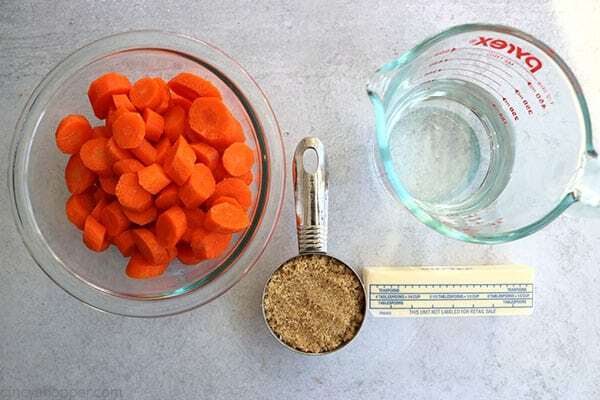 You can make these delicious Brown Sugar Glazed Carrots with just three ingredients, carrots, brown sugar, and butter. We make them quickly on the stovetop which makes them perfect for an easy holiday or weeknight side dish. 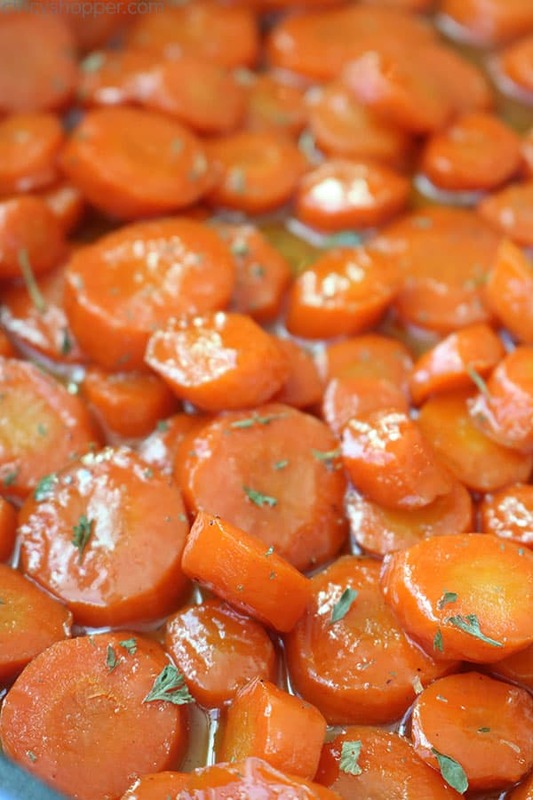 Glazed carrots are so simple to make, and they pair well with just about any dish. I usually serve them with our Parmesan Crusted Chicken or Easy Hot Turkey Sandwiches because you can prepare them in so little time. 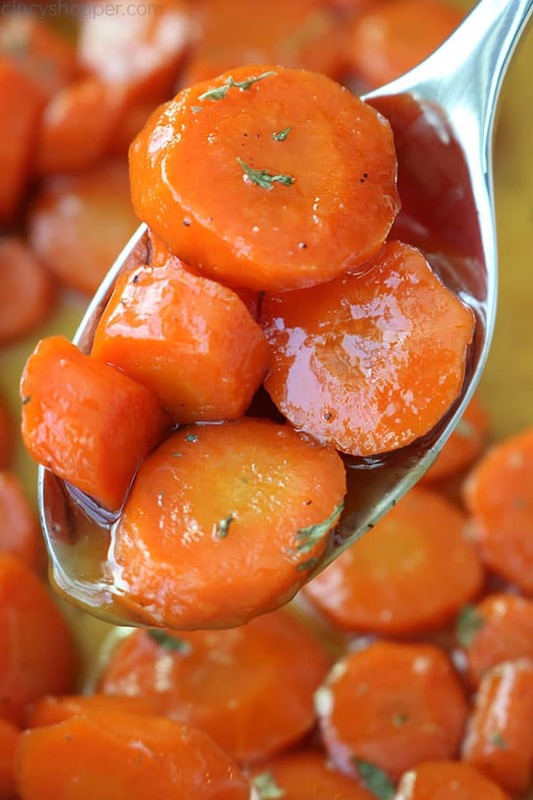 Serve them with your holiday ham or turkey, glazed carrots can be elegant too! For holidays like Easter, Thanksgiving, and Christmas a carrot recipe or two is always on my dinner table. If I have oven space, I will serve my Honey Garlic Roasted Carrots, and if space is limited, it is usually these Brown Sugar Glazed Carrots. For our everyday weeknight meals, carrots are quite often the side dish of choice for my picky family. I like to keep a couple of pounds of fresh carrots on hand at all time. You will find that carrots can stay fresh for quite some time in the refrigerator with no risk of going bad like so many other vegetables. 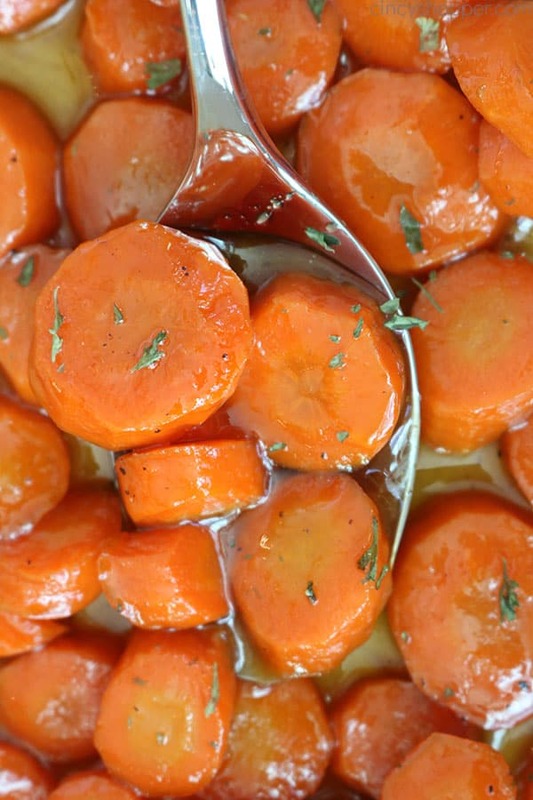 Brown Sugar Glazed Carrots are the best. The natural sweetness from the carrots and the bit of brown sugar I find to be the exact amount of caramelization. I previously mentioned that this recipe only required 3 ingredients. Well, four if you include the water needed. 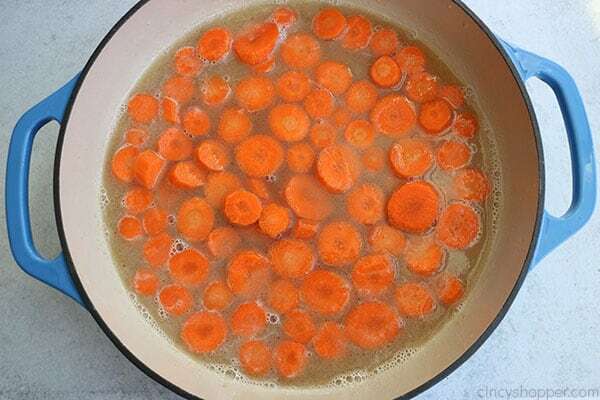 To make these delicious carrots, I start by washing and trim the ends. 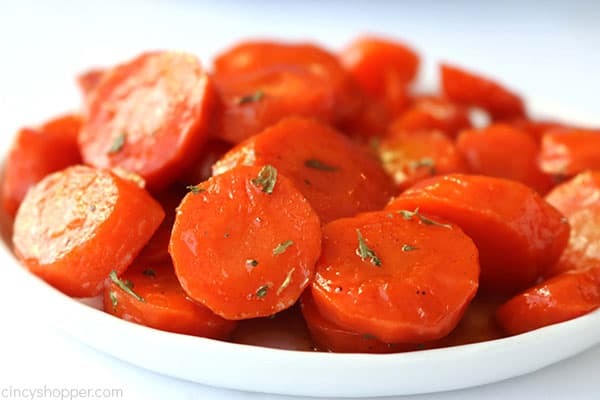 I peel and slice my carrots in slices about 1/2 inch pieces. 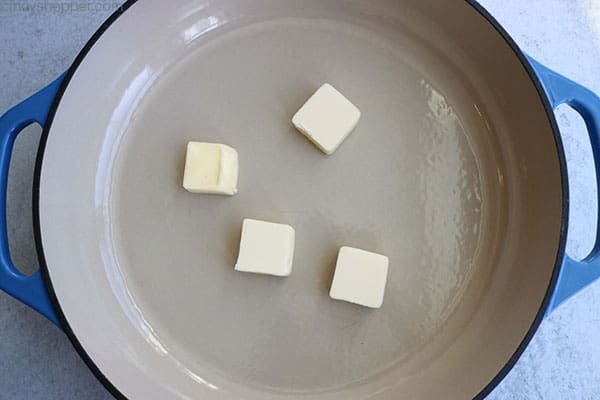 Next, I melt the butter in a medium-sized skillet over medium heat. Then add the brown sugar. I whisk until combined. After the sugar and butter are combined, I add in the water. I give the mixture a good whisk. Then add in all the carrots slices. I add a cover at this point and reduce the heat to low. I allow the carrots to cook for about 10 minutes. Finally, I remove the cover, stir the carrots and allow them to cook for approximately another 10 minutes. I let them get fork tender before removing from heat. 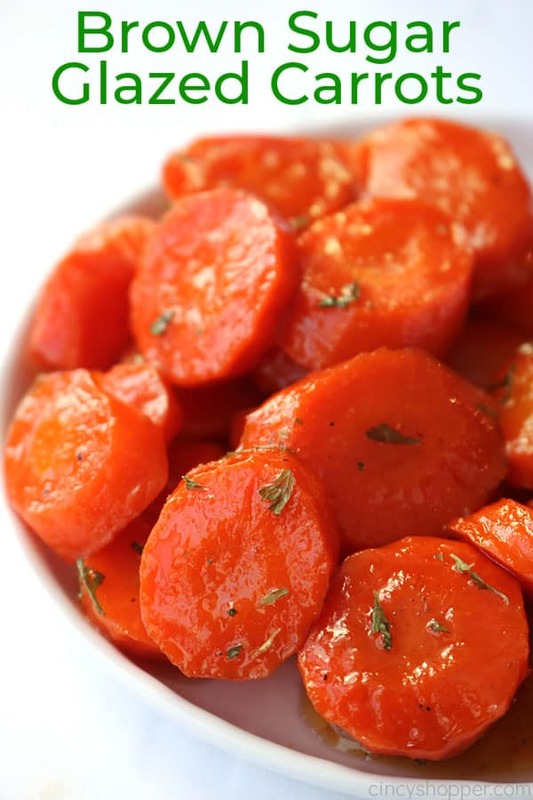 You may wish to substitute baby carrots, frozen carrots or even canned carrots. Your cooking time will vary if you choose to use these alternatives. 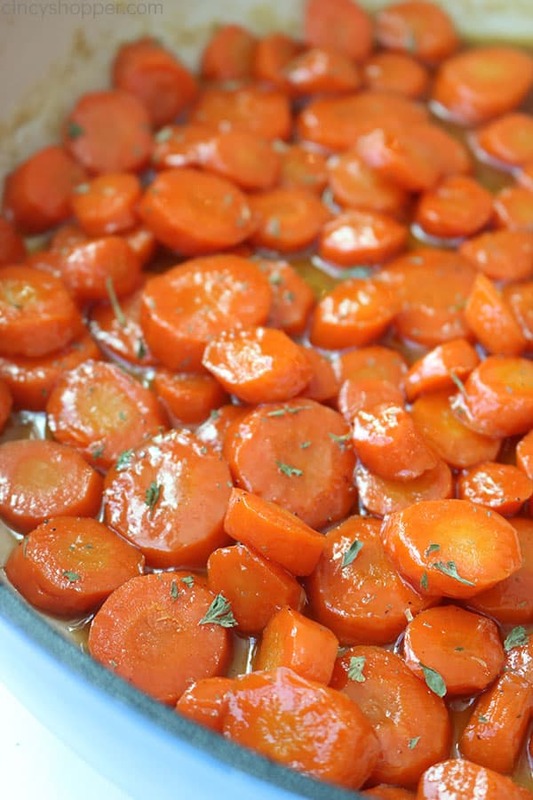 Thick carrots will need to cook longer. Precooked canned will cook much quicker. 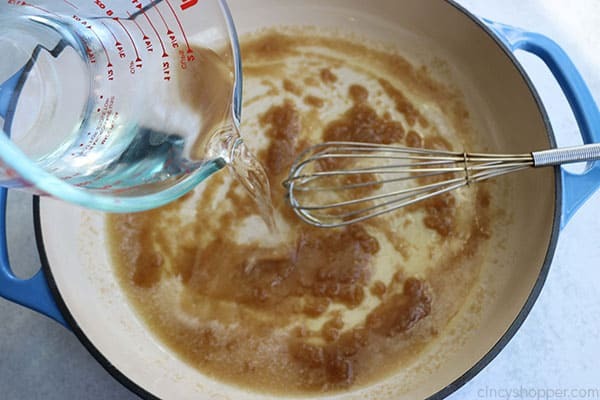 If you prefer to use honey or maple syrup instead of the brown sugar for your added sweetness, it will be great too! You can make glazed carrots ahead of time, but freshly made carrots always taste best. If you should need to make them ahead, store in a zippered bag or cover container in your fridge. Garlic Roasted Green Beans – Simple side for everyday meals. Southern Style Green Beans with Bacon – a super flavorful veggie. The Best Sweet Potato Casserole – a holiday favorite. 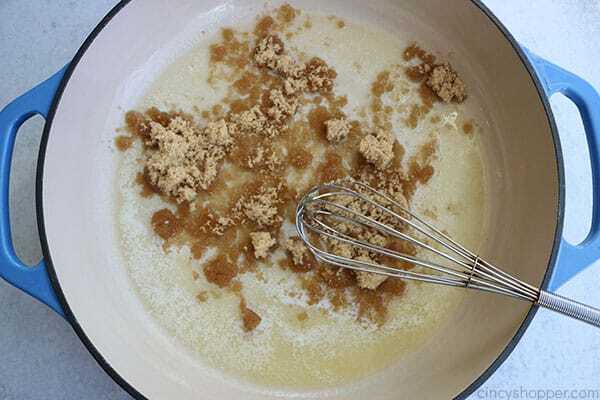 Add brown sugar and stir until melted. Add water and stir to blend. Add carrots. Reduce heat to low. Cover and cook for 10 minutes. 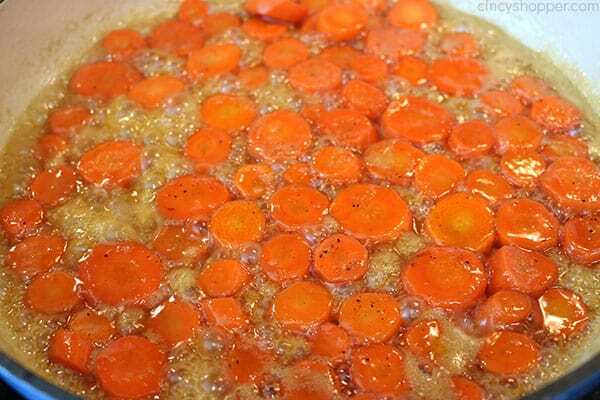 Remove lid and continue cooking for 10 minutes, stirring occasionally, until carrots are tender. many people each recipe will feed!!!!!???? ?